Para nuts do not only contain a lot of protein and fat but also have many mineral nutrients such as calcium, iron, potassium, magnesium, phosphorus, zinc and selenium. 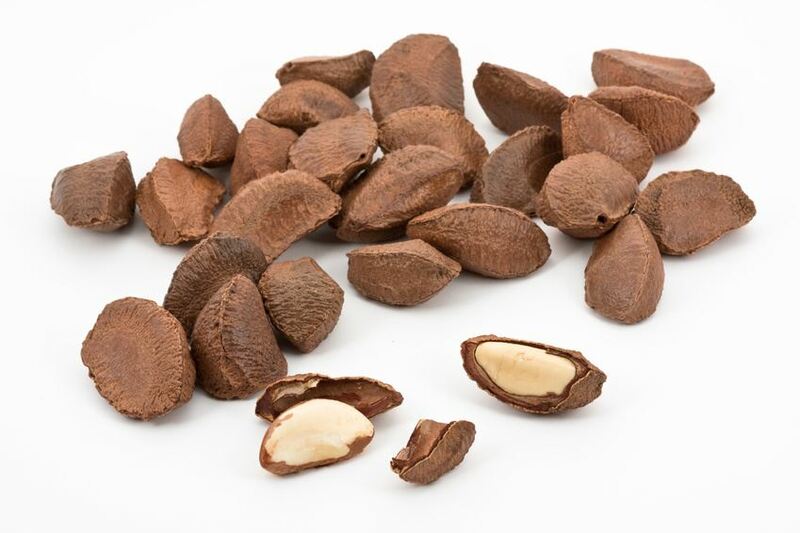 When sold as nature provides them, in the shell, para nuts have a long life and can serve any time as tasty and healthy meal between meals with high nutritional value. Para nut trees, names after the Brazilian state of Pará, are up to 50 m high and grow in the rainforests of South America. There the fruit are collected by hand, para nut trees are not specifically grown. One of the 10-12 cm round fruit of the para nut tree contains up to 25 of the 2 x 5 cm seeds. In South America, para nuts are an important part of the diet, because 6 raw para nuts have the same nutritional value as a 200 g steak. Para nuts can be processed to flour or oil, used in baking and cooking, and eaten roasted or raw.